This is a sponsored post by Birch Lane. All opinions are mine. Hello friends…I hope you’re having a great week so far. 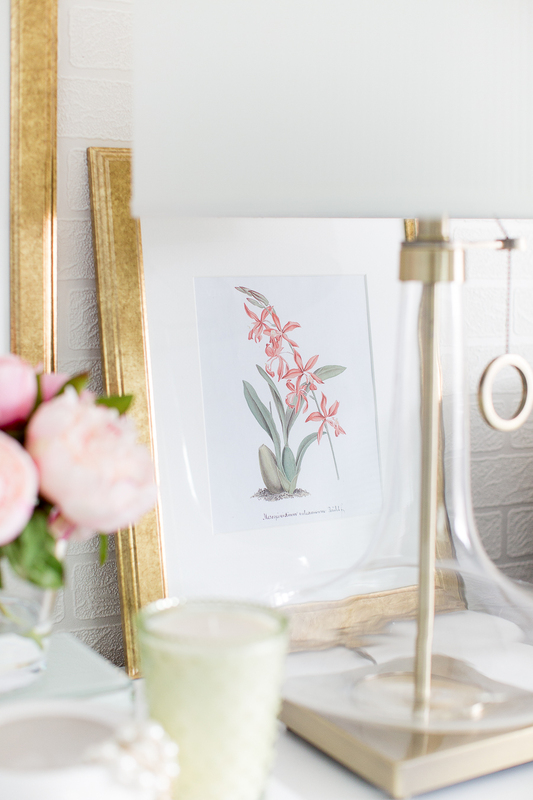 I’m super excited for today’s post as I’m blessed to join some of my extremely talented friends in partnering with Birch Lane for their Spring Refresh. We began the week with sweet Beth from Home Stories A to Z sharing her tips for updating a living room, followed yesterday by the beautiful Jenni from Dear Lillie, who shared her refreshed dining room. To say they’re a tough act to follow is an understatement. We have also taken over Birch Lane’s Instagram feed each day this week and would love for you to follow us there. 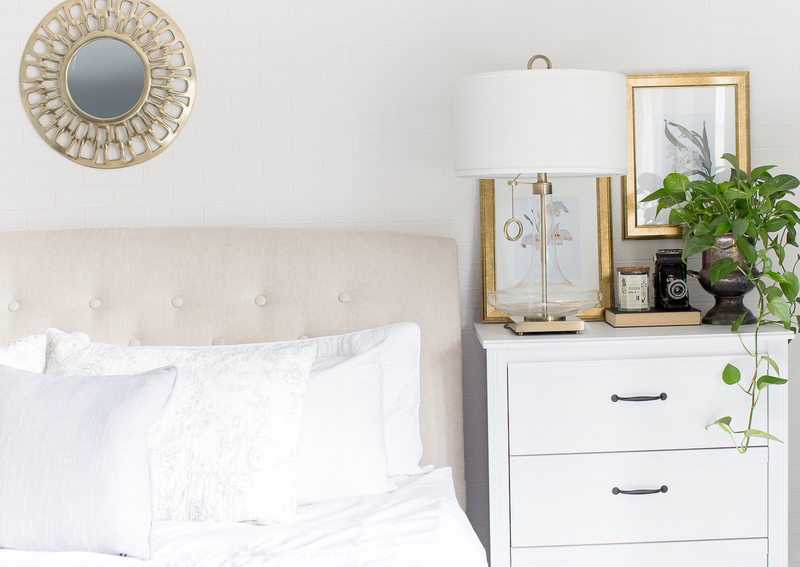 Today is my turn to share some of my favorite ways to freshen your bedroom. 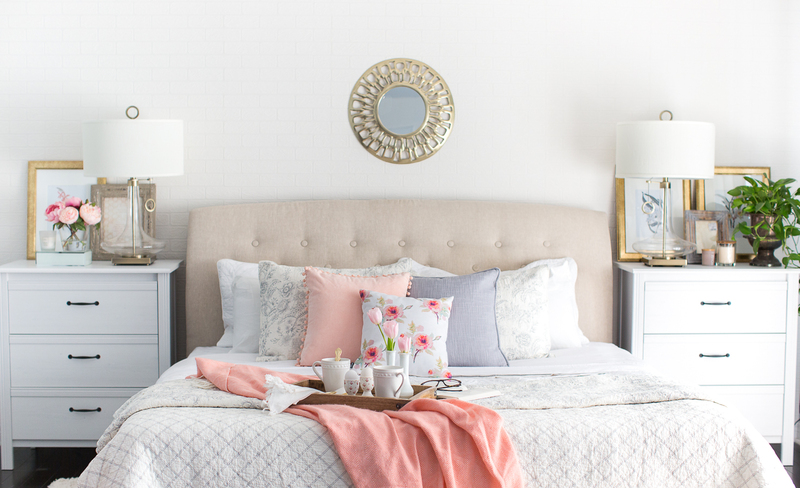 As the days and nights begin to get a little warmer, trade your heavy blankets and comforter for lighter, more breathable fabrics. Pick light and bright patterns with nature-inspired designs. 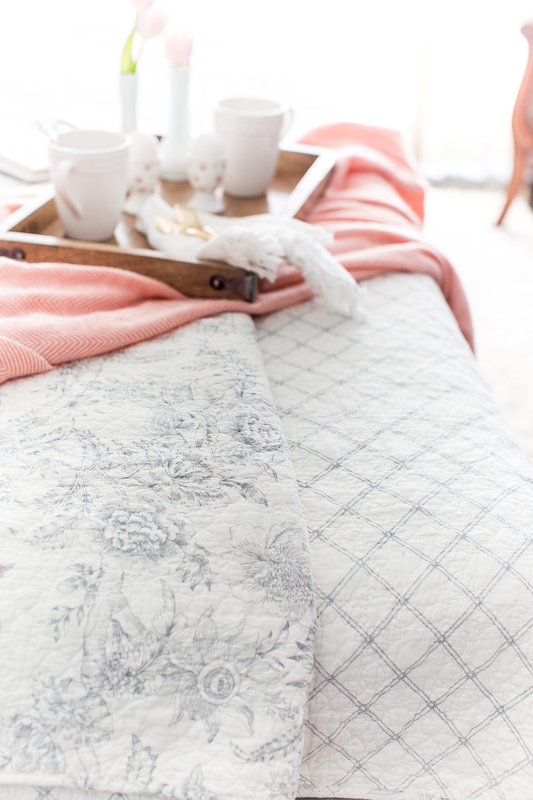 This beautiful Gray reversible quilt is the perfect neutral canvas to ad a splash of color against and offers a classic palette that you could easily carry from season to season. 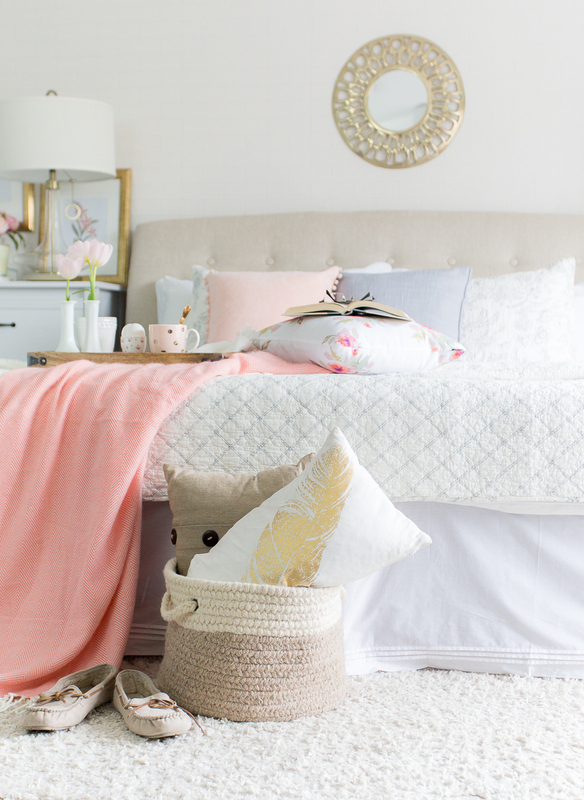 Liven up your bed with new crisp white sheets and dress it up with fun bedskirts, like the one pictured here. 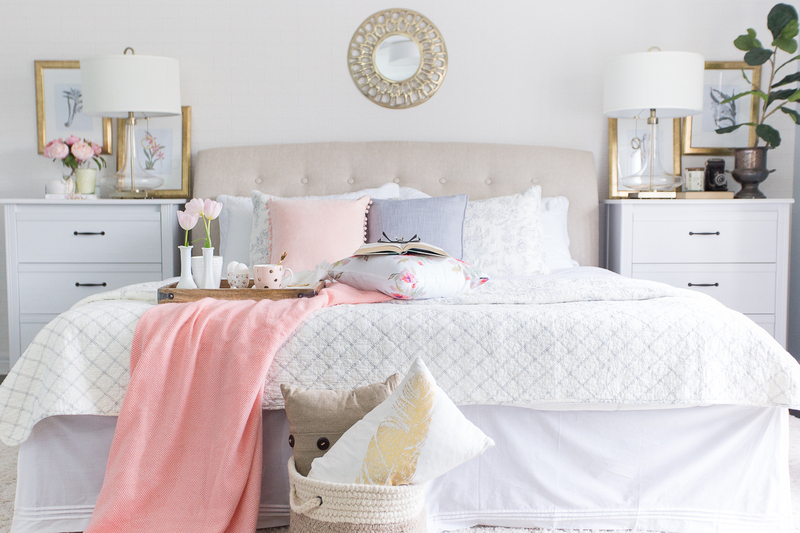 Bedskirts are a great way to hide an outdated bed frame and it’s best to look for classic styles that can be easily paired with a variety of other patterns and styles. 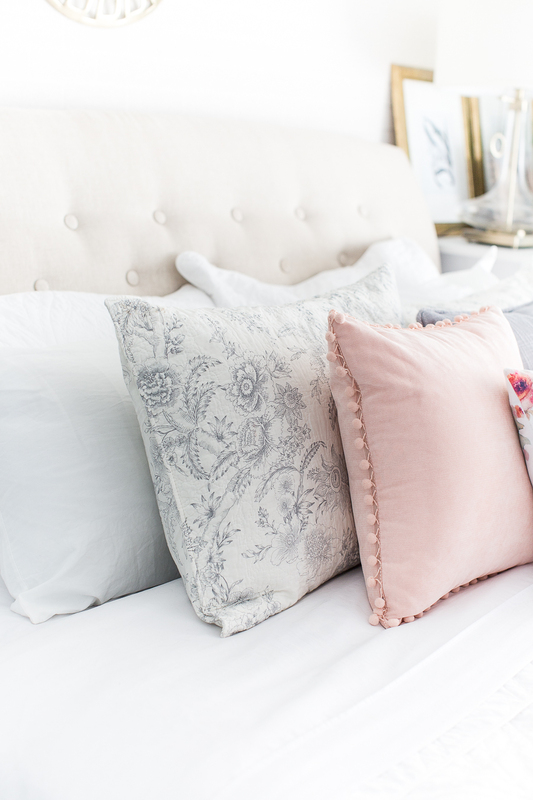 One of the easiest way to freshen your space is to add a splash of color via throws and pillows. 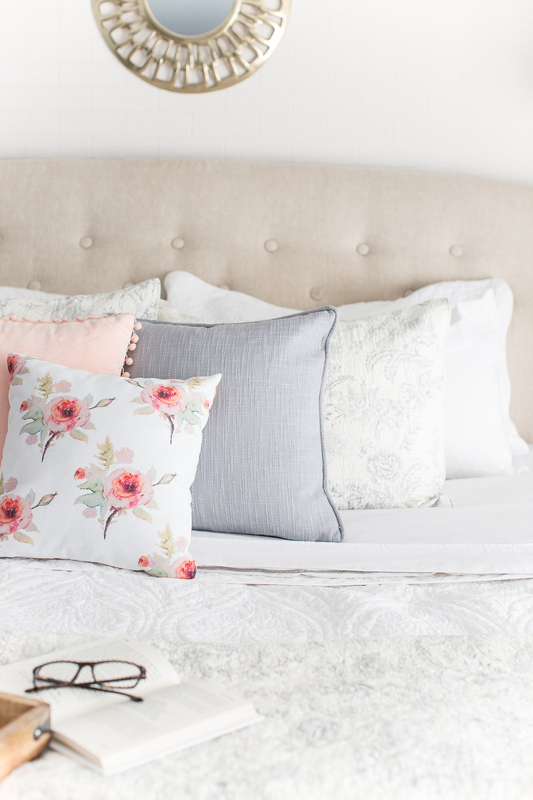 Place your throw at the the foot of your bed or drape it on a chaise or bench in the room for a pop of color. Use fun colors or floral patterns reminiscent of spring blooms and lighter weight fabrics, like linen or cotton. Nothing updates and refreshes a room like a new coat of paint or wallpaper. Go brighter, crisper and cleaner, but if that’s not in the budget (money and/or time) simply change your art, including frames and theme. In today’s world, free downloadable art is easily available online. As you may know, I have several free prints available here and next week will share where to get your very own botanical prints. 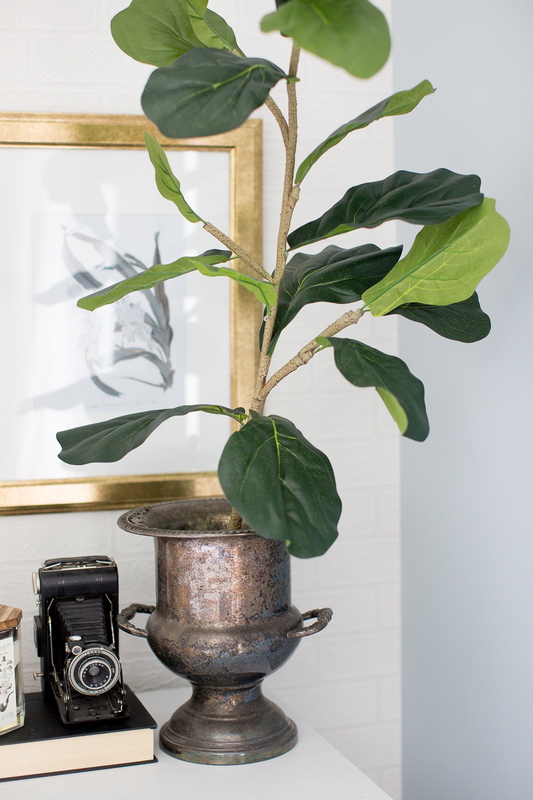 Plants are pleasing to the eye and literally refresh your space with cleaner air. Green thumb challenged? Choose easy to care for plants such as succulents. 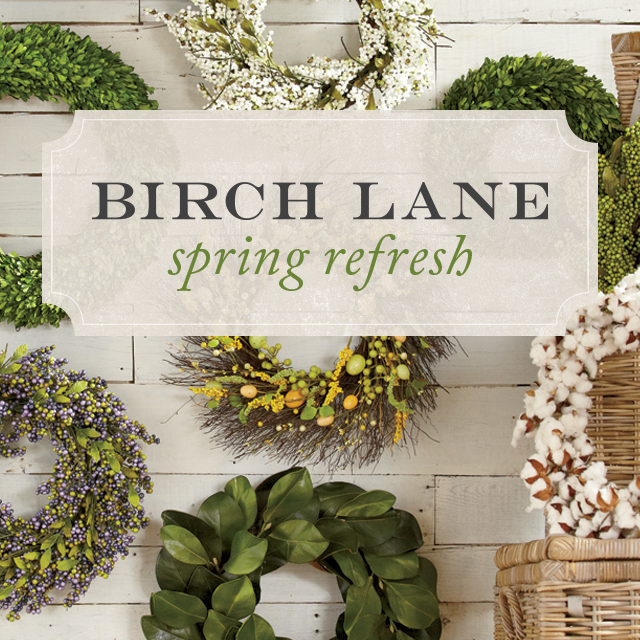 Of course, if you’re looking for something with no maintenance, you could always go faux with Birch Lane offering many beautiful faux plants to choose from. 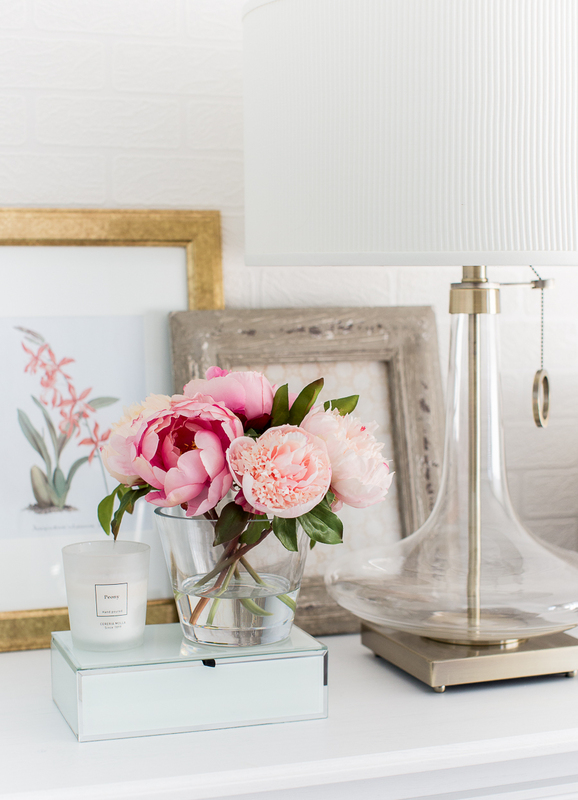 Faux flowers are also a great way to add color to a space. 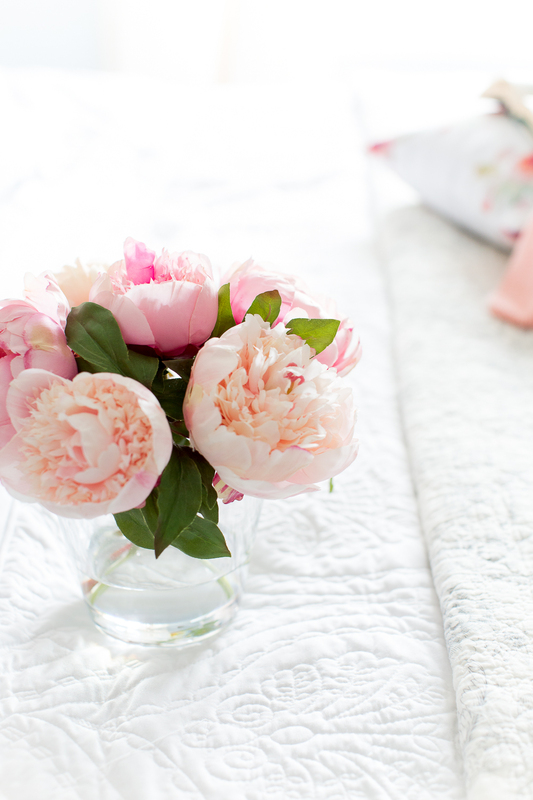 These beautiful peonies have lush petals, and rest in a pool of faux water. 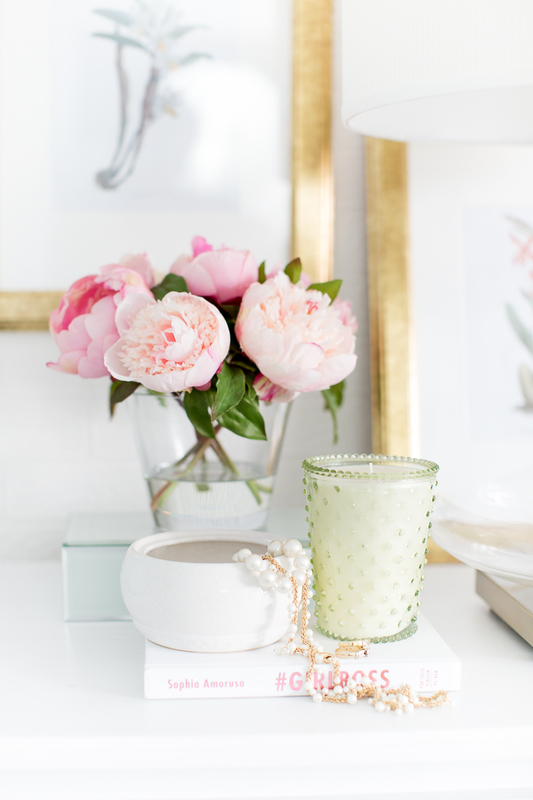 Flowers not only freshen your space, but lift your spirit. Consider purchasing new lamps or shades, but if that is not feasible, swap lamps from different rooms of the house. Shopping your home is always fun and it instantly gives your space a fresh new look. I switched my wooden lamps for these clear glass bottle-shaped table lamps and think they add a touch of glam as their large ribbed drum shade balances the clean look. 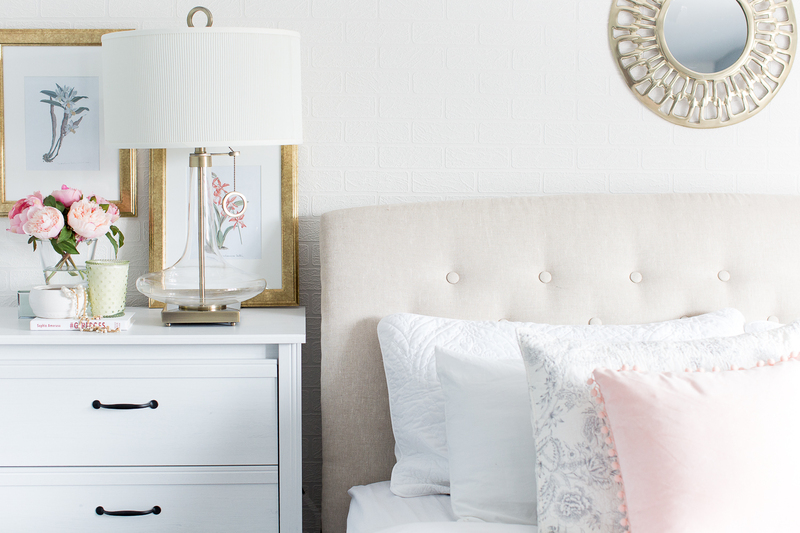 A new pair of lamps is like a shiny piece of jewelry to accent your bed. 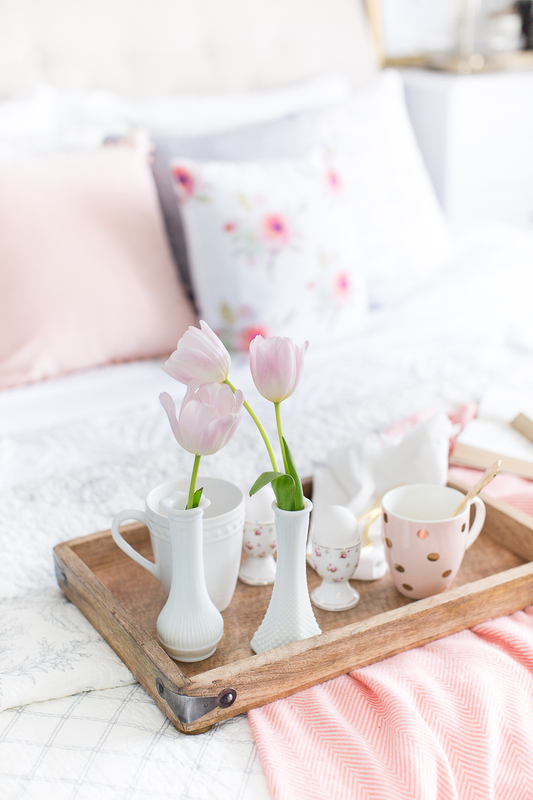 Cleaning is not always considered part of decorating, but when it comes to transforming your bedroom into a bright welcoming space, spring cleaning comes into its own. Clear out cluttered drawers or closets; put away or purge your winter blankets and dust all those little dust bunnies under your bed. 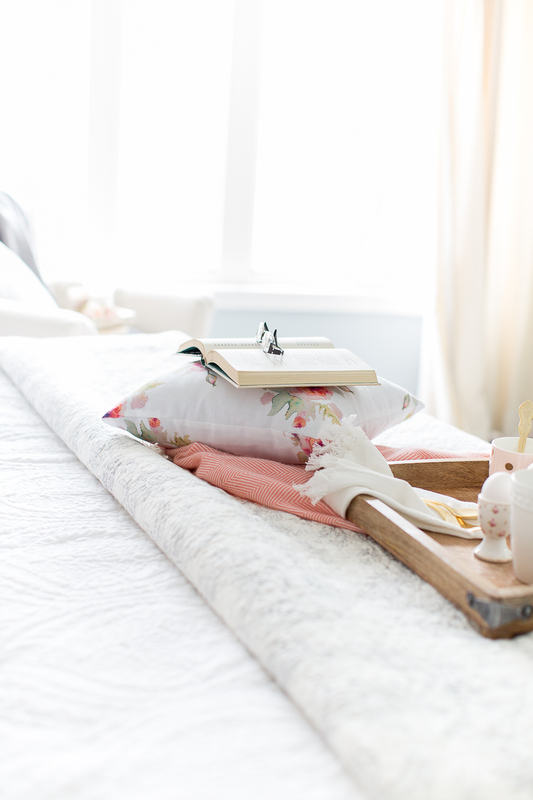 Use beautiful decorative chests, baskets or storage bins at the foot of your bed to hold your blankets or throw pillows. When refreshing your space, consider stimulating more than just your sense of sight. Include scents reminiscent of Spring flowers such as Hyacinths or Daffodils, seasonal fruit if you prefer sweeter aromas, or scented candles. For me, one of the most important aspects of refreshing a space is taking the people you share life with into consideration. For us, that means making our home not only a beautiful and safe place, but one that reflects our LOVE. Thank you so much for visiting today. Please don’t forget to check out Birch Lane’s Instagram feed and get ready to stop by my dear friend Karianne from Thistlewood Farms, tomorrow as she’s going to be sharing tips on refreshing a laundry room. Can’t wait! Could you please tell me where you purchased the pink pillow with little pom poms and the throw. this was a lovely post with great ideas. Through your blog you have made me want to get back into photography like I was back in my teens. I love the color and bedroom furniture in these photos it all comes together for a fantastic design. I’ve been trying to find a chair for my kitchen like the ones on http://beststools.com but couldn’t find much. Lucy, once again you have created a lovely room that evokes comfort and freshness. The linens are brautiful. Thank you for the springtime inspiration. So beautiful and fresh. 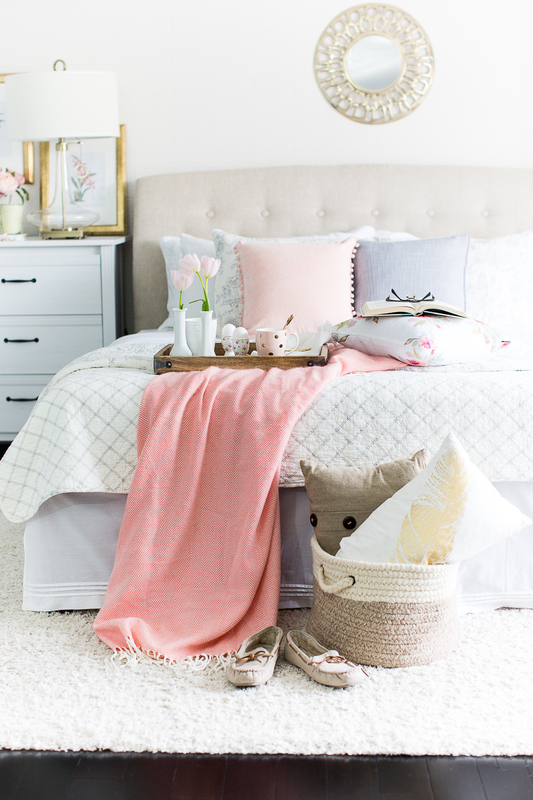 I love those little pops of pink paired with crisp neutrals. And those lamps! Totally pinning away! Beautiful! What color is the blue on your wall? Lucy, this room is utterly delicious. So soft and feminine and beautifully arranged. Every area has its own little personality but it all works together wonderfully. 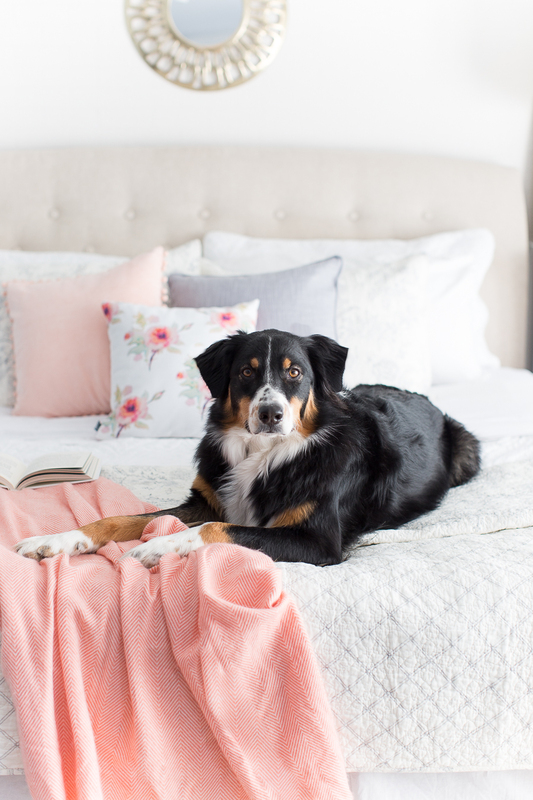 The bedroom is just beautiful, but my favorite element is your gorgeous pup – stunning! 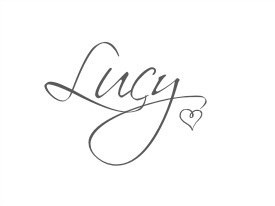 Such a pretty, fresh, and serene space, Lucy. I love the touches of pink with the grey and white. And the faux flowers look surprisingly fresh and realistic. I may have to give faux plants and flowers another try. Based on your photos, it looks like they have come a long way, baby (as the saying goes). 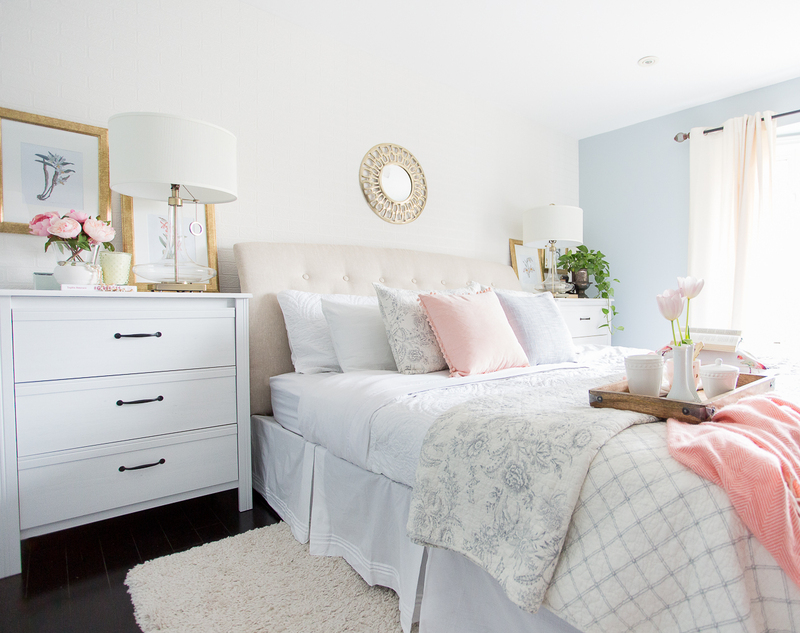 Such a soft, sweet , pretty bedroom Lucy. LUV the grey and white quilt. a beautiful place to start and end the day. You are so talented. 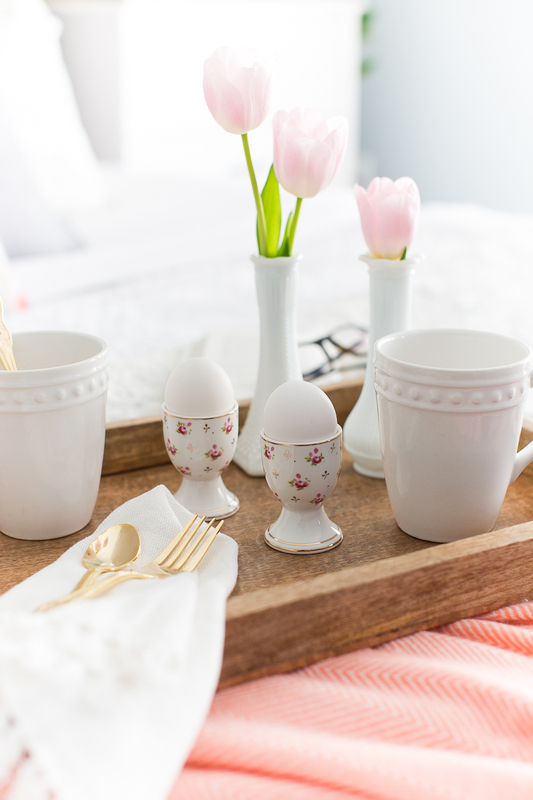 I love those little rosebud egg cups! I invite you to share this lovely post at my Thursday link party ( you can link up and share until midnight Saturday) Hugs! Love the quilt, all the ideas are great and the photos are great. I agree that we need to update the beddings at least during spring. I myself like to do it at the start of each season to bring a certain mood into the room. I can’t wait for Fall when I’m going to change all bright, vibrant tones with darker, muted ones. I am redoing my room soon so of course, I have been on Pinterest non stop looking for ideas! I finally came across pictures of this room and I’m in LOVE! Especially with the bed design. Where are those pillows from? ?